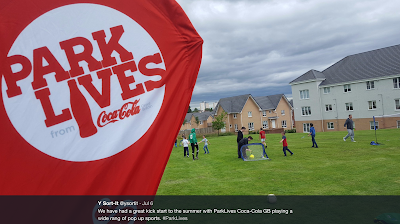 ParkLives is a joint project between Coca-Cola and the British government that aims to promote free physical fitness activities at local UK parks. At least that's what's in it for the British government. What's in it for Coca-Cola? Well of course they can spin it as strong corporate social responsibility which helps their claim that they're on team health and in so doing provide themselves with ammunition to possibly forestall or block industry unfriendly legislation. 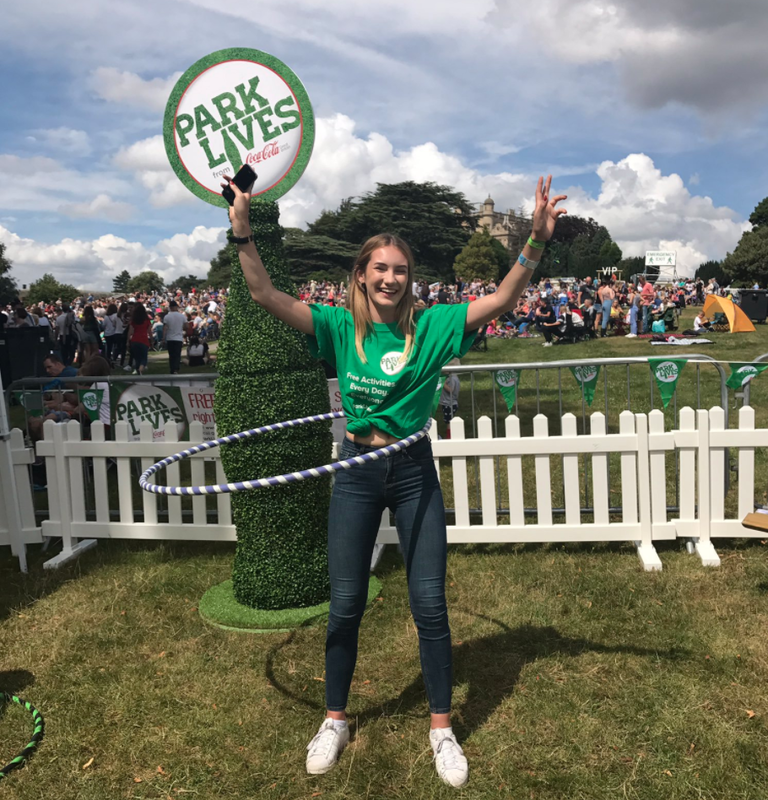 A recent study set out to look at the ParkLives project through the lens of advertising. 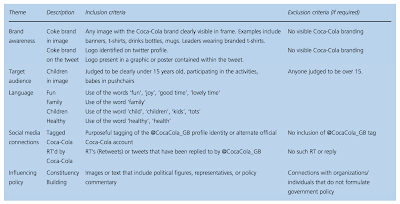 The study analyzed two weeks worth of #ParkLives tweets during two separate weeks. The first week was during a week of school vacation (where the marketing might be expected to be thicker and the events more frequent), while the second was during the school year, but spanning National Fitness Day. 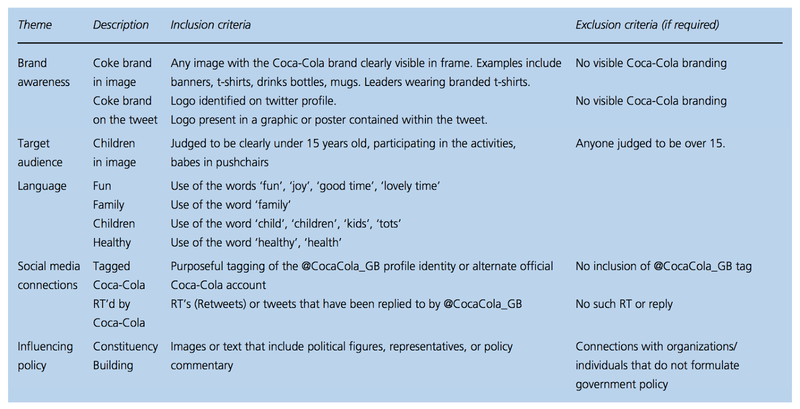 Over the two weeks of collection, 318 tweets containing 216 images were identified, and of those, 57% included a Coca-Cola logo (usually on banners or staff shirts). The authors note that the exposure to Coca-Cola branding is perhaps more powerful here in that with ParkLives, Coca-Cola is associated with fun, healthy, family activities. The authors' take on all of this? 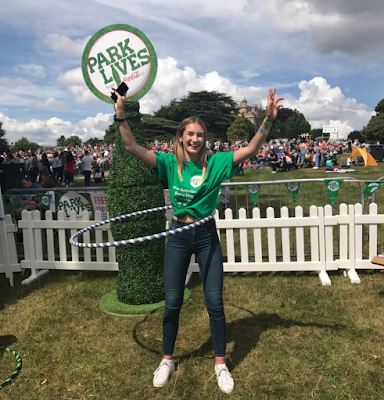 "ParkLives is indicative of a CSR project that aims to create a health halo around a brand and influence wider socio-ecological factors by guiding public discourse and directing opinion on the determinants of public health issues away from corporate influence and toward individual responsibility"
Partnerships, by definition, benefit both involved parties. Perhaps governments shouldn't be helping out in the business of marketing the world's largest liquid candy brand.